Painting by Dave Hasler inspired by a photo of SMM member Lars Åkesson taken in 2015 during La Petite Guerre (see Articles and Gallery for more info). Used with kind permission from the artist. The Scandinavian Mountain Men (S.M.M.) are dedicated to re-living North American fur trade and early frontier history in present day Scandinavia. Brothers and sisters of the S.M.M. re-searches, re-creates and re-lives the material culture and lifestyle of the member's individual persona; who lived and/or worked on or beyond the line of North American frontier as it moved west with the fur trade across the North American continent. 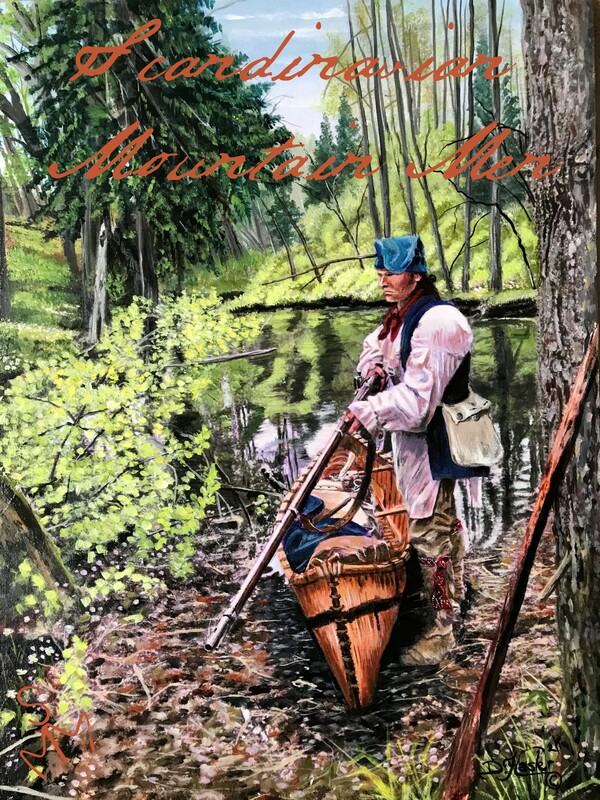 The accumulated timespan of our member’s personas fit within a timeframe starting with the colonial days of the 1700’s to the decline of the beaver trade marked by a last great rendezvous in 1840. Traditional literary research and experimental archeology combined with real life situations out in the Scandinavian wild is our method of re-living, enjoying, and in a way experiencing the past of another continent. We rarely act or role-play as we believe the combination of authentic gear and skills used in an authentic situation and suiting environment enables us to experience the past as ourselves. The purpose of the S.M.M. 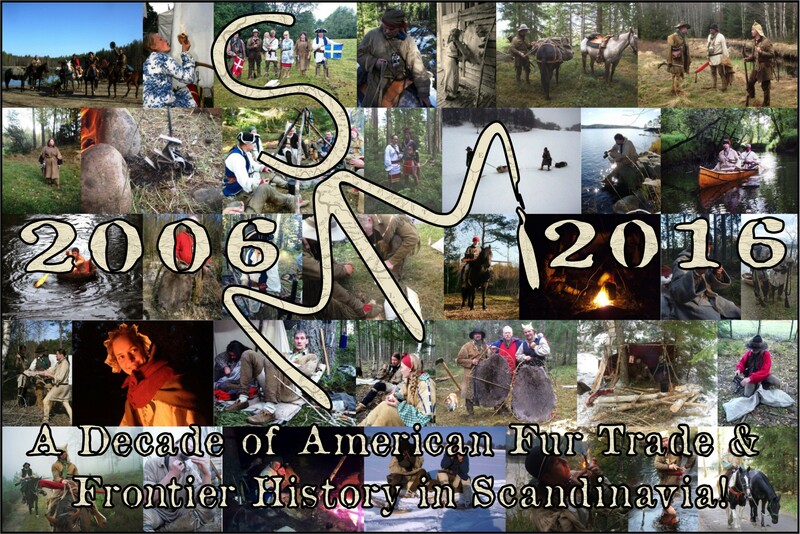 S.M.M’s purpose is first and foremost to act as a brother- & sisterhood bound by passion for re-creating and re-living North American fur trade and early frontier history and making it possible for members to organize and come together for various treks, camps and gatherings primarily in Scandinavia. The purpose is also to exchange historical information and documentation, as well as useful "how-to" information both within and outside the S.M.M. as a way of helping all interested in striving towards our ambition of authenticity. Ambition of authenticity within the S.M.M. Brothers and sisters of the S.M.M. strive to reach complete authenticity in both gear and skills needed to re-live North American fur trade and early frontier history out in the wild with a minimum of modern compromise. This includes clothing, food, tools and skills that is associated to the S.M.M. member’s personal persona fitting within the focus of the S.M.M. as stated above. Membership of the Scandinavian Mountain Men is achieved through INVITATION ONLY. If you are interested or have any other questions, dont hesitate to write an email to one of our members (contact info can be found under “Members” in the menu to your left). Every now and then we pack up our plews and head for rendezvous. If you see a S.M.M. camp, come by, grab a cup of steaming coffee from the fire and get to know more about us and what we do! Collage of S.M.M. sketches. Click to enlarge.